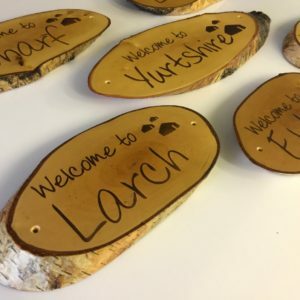 These rustic log slice house signs are available in two sizes and are cross cut from sustainable silver birch logs. We laser engrave your chosen text to a depth of around 2-3mm and then infill with black paint if requested or leave bare for a natural burnt look. Pre-treated with two coats of marine grade wood sealer and then finished with satin varnish for external use.